Telangana has advertised for the recruitment of Teaching Faculty- PGT,TGT jobs vacancies. Interested and eligible job aspirants are requested to walk-in all sundays.Check out further more details below. 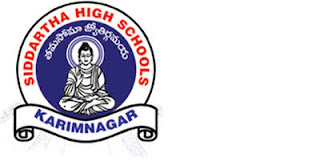 Name of the School: Siddartha High School,Karimnagar ,Telangana. 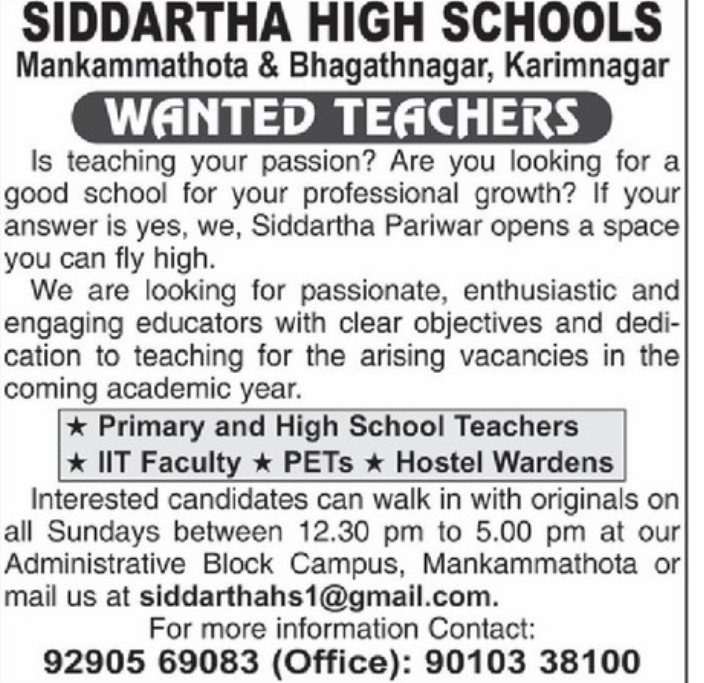 About School: SIDDHARTHA HIGH SCHOOL is a Primary only school. The coeducation status of SIDDHARTHA HIGH SCHOOL is Co-Educational. The residential status of SIDDHARTHA HIGH SCHOOL is No. and the residential type of SIDDHARTHA HIGH SCHOOL is Ashram (Govt). The total number of students in SIDDHARTHA HIGH SCHOOL KARIMNAGAR is 171. The total number of teachers in SIDDHARTHA HIGH SCHOOL KARIMNAGAR is 6. 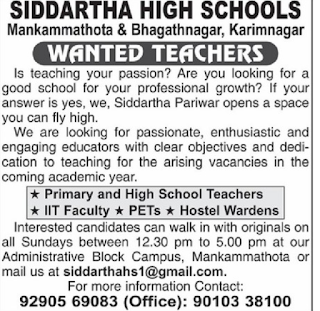 The total number of non teaching staff in SIDDHARTHA HIGH SCHOOL is 3. The medium of instruction in SIDDHARTHA HIGH SCHOOL is English. How to Apply: Interested Candidates can walk in their originals on all Sundays between 12.30 pm to 5 pm at administrative block campus,Mankammathota.